Blogging is a platform where you help people know things that you knew once and thought to share with others. Blogs are preferred to share the tiny details of your experiences and studies which are someday gonna help someone who'd be reading it. Most people don't realize what they want to blog about but they do want to write about something which they're not sure what it is yet. I was referring to me especially who want to write-up something but couldn't exactly figure out sooner enough to start with. This blog post is for those people who are like me who wanted /wants to write /share things whatever it might be yet isn't sure about it. I''m gonna disclose some 4 tips down below that could get you choose what you really want to write about and start a blogging career sooner. What Do You Know More About Anything? Yep. That's a question that you gotta ask yourself first time when you choose you want to start a blog. Do you know that there are a lot of people in the world who needs to know about the one thing that you're good at and you know more than anything? Yeah, that's true. You should be sure about what you know clear and good enough. That's it. That will lead your mind to choose the niche you want to blog about. 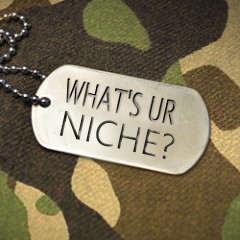 Most people who choose a niche and start a blog will get it wrong the first time. Choosing to write expecting something back will always get yourself stuck into the runway. Write a blog for yourself, and the people that are gonna read it. Let it be useful for the one's who actually admire the way as you are. Consider writing a blog as if you're keeping an online note of everything that you've learned and getting good at. Writing for money can still get you score but that won't give you the flow and the interest as always. Yet if you find a niche that makes you money and keeps you interested every single time, then that's reward for yourself. Choosing a topic to write for a blog is not that hard when you know what you're looking for. Clear up your mind on writing a blog. Take a list of all the topics that you could possibly want to write about. Make it an xls/ csv file if you want to. Now lets filter the topics that you think you can write for a long term frequently. You'd have filtered already and you're left with a little of something around 4 or 5 niche topics at last. From there its not that for you to choose because you'd already made up your mind with some topic which is more convenient for you in delivering quality content to the readers. Interest is the main aspect in doing anything that you do in your day to day life. Interest is the one thing that keeps you doing the same thing everyday even at times when you think that's not worth doing. Choose a topic that keeps you interested in writing for a very long time. Time is a constraint when you start blogging on a specific topic and you wouldn't know when you'd run out of topics. So, its always the best to choose a topic that you're so much interested as much that you're willing to write even when you find it very hard to continue the course. Blogging is not just a money making platform for all who cares to start writing a blog. It could be a space where you share your skills and knowledge for the people who are in need of and also could become an identity of yourself in the online world. So, concluding this, my one cent would be choosing a niche that you're good at or choosing a niche that you'd wanna be good at some point in future. Those are the two niche types that will keep you grow yourself and make you see yourself as a blooming blogger over the long run. These are some great tips on niche selection. It was on to the point as well as practical. So thanks. thanks for sharing. i don't know these kind of works are in blog niche. but now i got clear clarification thanks for your blog. keep updating. Hello, you have provided awesome information here but I think choosing blogging platform is also play important role for its growth is not it. Actually, I prefer to have wordpress because they have numerous features than any other platform and I also prefer to have hostwinds web hosting service for hosting.